I gathered as many word counts as I could today, but we had a district assessment, so I wanted to be sure the focus was on that, and that NaNo writing stays secondary to classwork. Sadly, I could not make NaNo the sole focus of the month, because our fiction unit already occurred, and we’re tested on expository writing, but there are still plenty of students helping us come closer to our goal! So combined with my word count (after deleting the goal of a student who withdrew today), our goal is 632,100. From the word counts I received today, we’re officially at 4.1% of our goal! This seems like a low number, but I am missing a lot of word counts from students (roughly half). 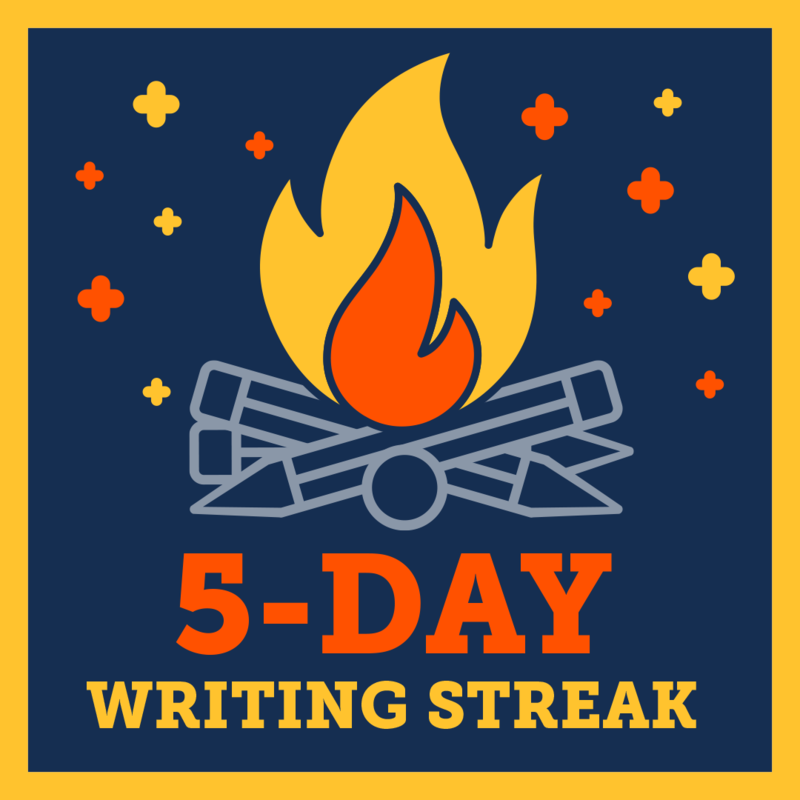 I’m also aware that some students have yet to even start writing, but it’s only day 5, so time (for now) is on our side! Of the 32 students who gave me a word count today, the students have written a combined 18,683 words. The students are excited to color in the boxes on our progress charts (they color in every 10% of their goal), and I LOVE watching the boxes fill up! I’ll be sure to include a picture on my next post! Their enthusiasm for this has my heart so happy. It’s helping me push through to the three-day weekend this weekend, and then to Thanksgiving break just two weeks from now. Are you having more wins or losses at 5 days in? It’s still early, so don’t give up! Feel free to share how your month is going in the comments below. Yay! 18k words! I love your title – so creative. I’m doing an atypical nano this year as that’s where my life is. My goal was to write the last ~30K of the second book in my murder mystery series and to write a 35 K novella that will start another short series. So my goal is 60-65K spread over two works. Congrats on your progress! I can’t believe how amazing your students are doing! I’ve taken a few days to really get into stride, so my count isn’t nearly as impressive 🙂 But things are settling into a routine so I *think* I’m about to see some wins!